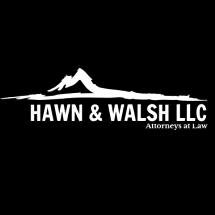 Hawn & Walsh LLC, in Bend, Oregon, provides legal advice and representation for individuals seeking resolutions to their most complex insurance litigation problems. The firm is focused on providing strategies and solutions to help people injured in accidents or denied insurance claims obtain the full and fair financial compensation they deserve. For more than 30 years, the name Bruce J. Brothers has been a prominent part of the central Oregon legal community. Bruce Brothers has partnered with Wayne Hawn and Jennifer Coughlin to provide their considerable experience and abilities to both existing and new clients. The firm's focus on responsive communication, first-class client service and compassionate, effective legal representation means clients in communities throughout Central Oregon do not need the time and expense of going to a downtown Portland law firm for premier legal services. As personal injury trial lawyers, the firm is known for its creative and imaginative approach to complex insurance and product liability problems and has earned a record of significant results for clients. With over 60 years of combined litigation experience, the law firm of Hawn & Walsh LLC knows Oregon law, the Eastern and Central Oregon courts and how to achieve the best results for their clients.